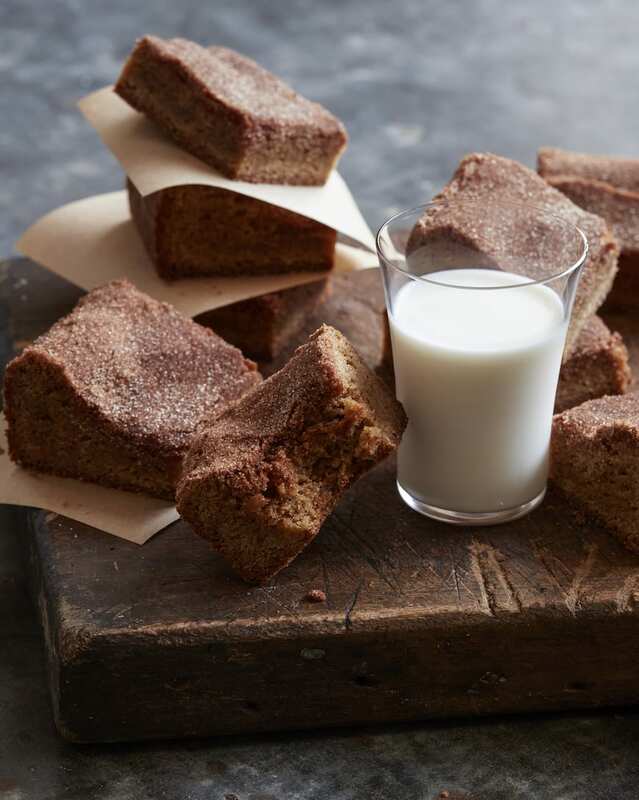 There are some things in life that just rock your world and these Snickerdoodle Blondie Brownies are one of them! Here’s the scoop. 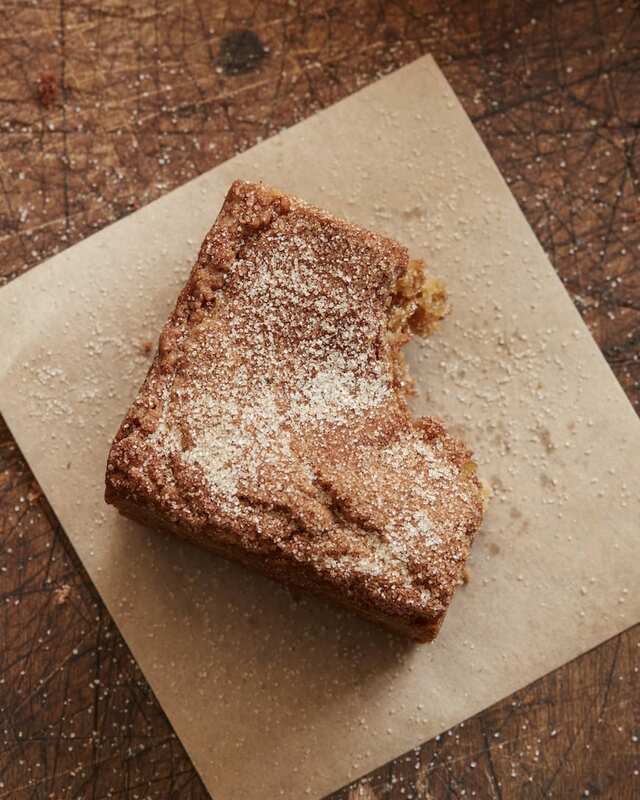 I’m not even exaggerating when I tell you that my husband told me these Snickerdoodle Blondie Brownies are the best thing to ever come out of the kitchen! And he’s had every single recipe I’ve ever posted on WGC and more! Add to that the fact that Matt, my bff and photographer (who doesn’t even like sweets) couldn’t stop eating these when we were on set and asked for them to be removed from his eyesight because he couldn’t control himself. How’s that for a few recommendations? 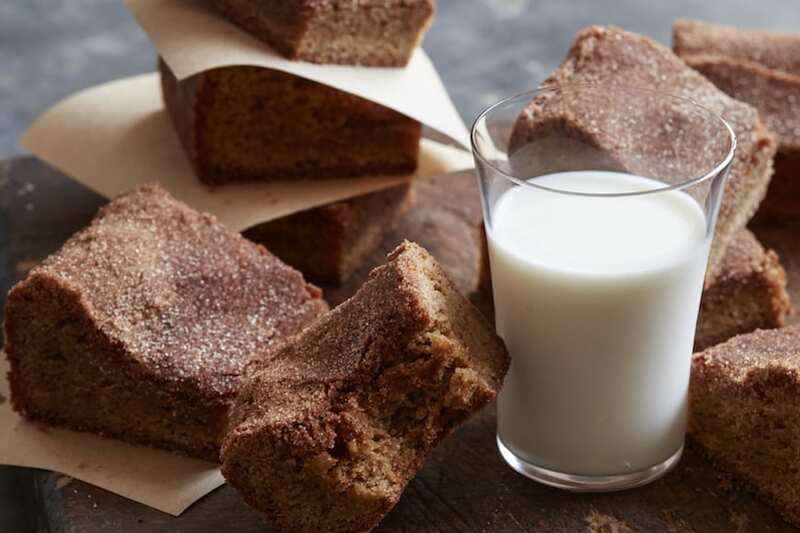 Snickerdoodle Blondie Brownies are easy. There are very few ingredients and/or tools needed to whip these bad boys up but that’s the trick! 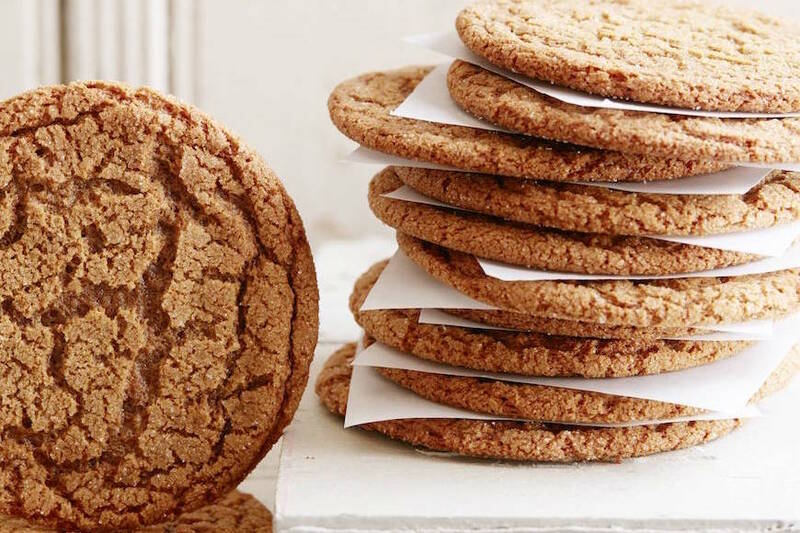 Keeping the ingredients minimal but using exceptional ingredients like Ground Cinnamon, really good quality butter and Pure Vanilla Extract make for the perfect treat. But back to the Blondies…all the flavors get together and shine bright like a diamond (thank you Rihanna) The cinnamon sugar topping on top doesn’t hurt either. So for all your upcoming holiday parties, cookie exchanges, dessert parties, etc, you’ll need to make these. In fact make a double batch just to be safe. BUT – if you are doubling the recipe – make sure you bake them off in 2 batches. You need the 9×9 baking dish to optimal results! In a large bowl or stand mixer, combine the melted butter and brown sugar and mix with a wooden spoon or paddle attachment for 1 minute until combined. Add the vanilla and eggs, making sure to scrape down the sides of the bowl, and mix until fully incorporated. Add the dry ingredients into the bowl/stand mixer, flour, baking powder, cinnamon and baking soda and slowly mix until just combined. The batter will be a bit stiff, but that's normal. Spray a 9x9 baking pan with baking spray and line it with parchment paper. Spoon the batter into the prepared baking sheet and sprinkle the cinnamon sugar on top and transfer it into the oven. Bake for 30-35 minutes. Once the blondie brownies have baked, remove them from the oven and let cool for at least 2 hours before cutting and serving. I want to make these!!! You specify Ground Cinnamon. Is that something special. All my cinnamon is ground unless it’s a stick. Thanks!! This is a great treat that I’ve just made for a summer picnic with old friends. They’re going to love them – as long as I resist eating them before I get there! Thanks for the fab recipe! Confession – I cut a corner out 45 minutes into the setting/cooling time. I’m worried that they didn’t cook through – the centre is still a bit gooey. Will it harden after the 2 hour cooling time or did I not cook it for long enough? Can you ever re-bake a dish after it’s cooled or is the recipe ruined? These are honestly some of the best brownies I’ve ever had. I made them for Christmas Eve and Day and my family ate them by the handful. I’m always making them. I call the crack brownies because they’re so irresistible. Could I add some chocolate chips ? Hi Gaby! Was wondering if you thought I could make these, let them cool, and then slice down the middle and put a layer of ice cream in between? Thanks! Making these right now! I have loved every recipe I’ve ever made of yours! Thanks for being a consistent go to for my baking and cooking needs! I usually don’t have a sweet tooth…but I made a batch of these this week and I’m pretty sure I’ve eaten 2 a day. 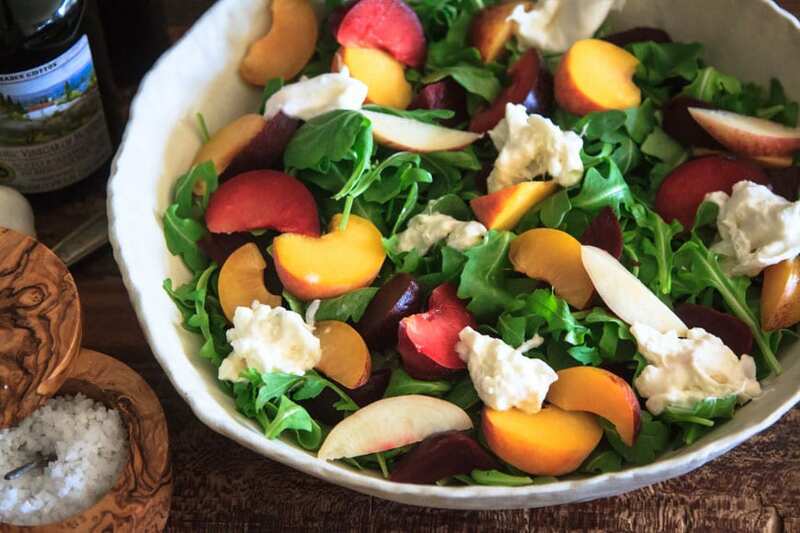 A fun and easy recipe to whip up and a total crowd pleaser, Cannot wait to make again!! If I only have 8×8 pan how long should I cook? Thanks! Every recipe I’ve ever made from you is amazing! I would like to make these for thanksgiving dessert. Is it ok to make these in a 9×13 baking pan? that will change a few things – if you keep the recipe the same it will make them super thin. If you double the recipe then the middle won’t bake properly because there is so much batter. I know it’s annoying but I’d use the 9×9 and make 2 batches so the consistency is the best it can possibly be! One more question, do you absolutely have to use a wooden spoon? Hi Gaby! I ran out of light brown sugar and only have the dark one, does it work? hi gaby! making these for a company bake off and wanted to check – salted or unsalted butter?